Ottawa, Canada (BBN)-A 17-year-old boy has been charged with four counts of first-degree murder after shootings in Canada’s western Saskatchewan province, police say. The boy – who cannot be named because of his age – is also charged with seven counts of attempted murder, reports BBC. Four people were killed and several injured after the shootings at La Loche Community School and another location. Friday’s attack in the remote community was “every parent’s worst nightmare”, Prime Minister Justin Trudeau has said. At a news conference on Saturday, Grant St Germaine from the Royal Canadian Mounted Police (RCMP) said the suspect would appear in court next week. “The days and weeks are going to be difficult as we come to terms with the impact of what has happened in our community,” he said. The RCMP said Dayne Fontaine, 17, and his brother Drayden, 13, were shot dead in a house. 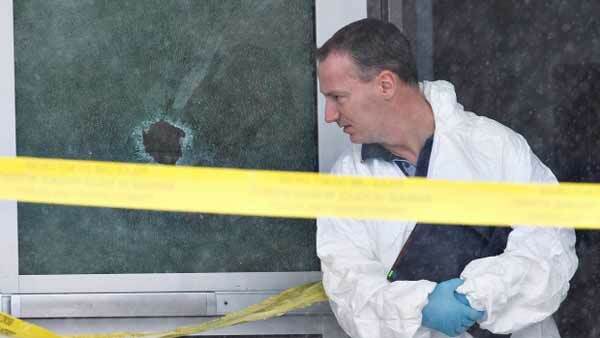 The gunmen then went to the school, killing teacher Adam Wood, 35, and 21-year-old teaching assistant Marie Janvier, the daughter of acting mayor Kevin Janvier. The suspect was later disarmed and arrested. The motive behind the shootings is unclear. Witnesses at the school described screaming and more than half a dozen shots. The RCMP said officers were called about “an active shooter” at 13:00 local time (19:00 GMT) and detained the suspect 45 minutes later, Canada’s CBC broadcaster reports. “Words cannot express my shock and sorrow at the horrific events today in La Loche,” Brad Wall, the premier of Saskatchewan, said in a statement. About 900 students attend La Loche Community School for kindergarten through to grade 12 (the last year of high school). “I ran outside the school,” Noel Desjarlais, a Grade 10 student, told CBC. La Loche is a mainly aboriginal community of about 3,000 people. It is located nearly 900km north-west of the provincial capital, Regina.